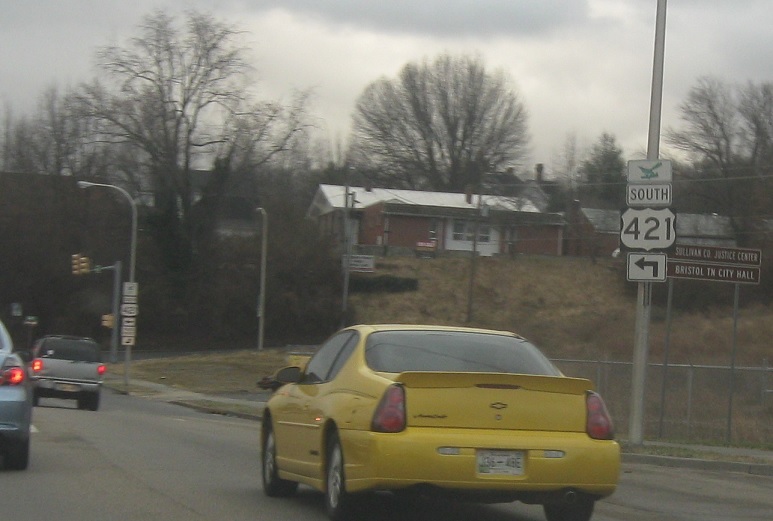 Just after we cross into Tennessee, US-421 will split off. 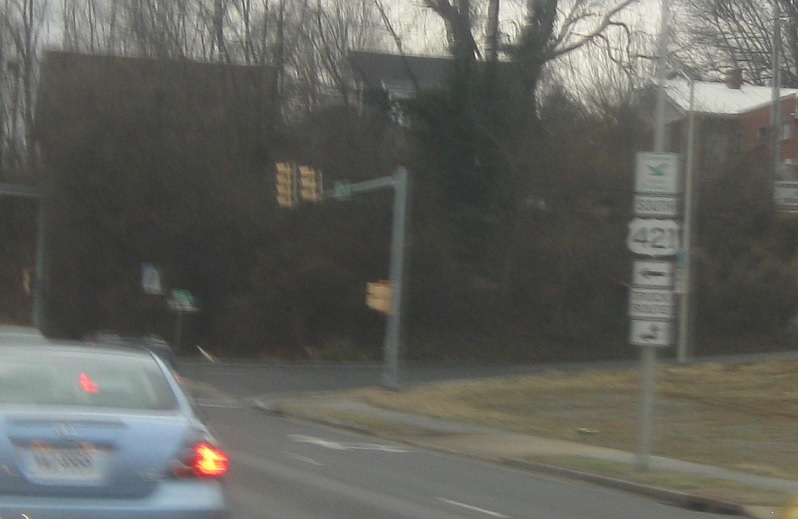 Turn left for US-421 south and unsigned Tennessee 34 east. Stay straight for US-11E/US-19 south and unsigned TN-1 east/TN-34 west.